I love writing, especially blog posts, as they’re my chance to be creative – to have a voice. I invest a lot of me in everything I write, but if you’ve read any of my previous posts you’ll be well aware of that already. I started blogging because I felt oppressed and without a creative outlet; yet I felt I had a lot of useful things to say. More than that, I needed to say these things in order to make a positive contribution to the world. That’s why I think I engaged in a science career too – the need to do something novel and to engage in research that might actually make a difference. Whilst though I have always been fired up by discovering ‘the new’ and contributing to knowledge, scientific articles, while sometimes containing interesting material, have always been a bit of an enigma to me. Why do scientific publications have to be typically so dry and boring to read and write? So seemingly incomprehensible, and needing some serious concentration effort, even to those in that field. That goes for both the reading and the writing phase. Some papers end up looking more like a sequence of numbers than comprehensible text as they ‘describe’ various statistically meaningful findings. Some areas of science do better than others in terms of their palatability, but the deliberate dehumanisation of science for a prolonged period of time (centuries) is an attempt to make it impenetrable and therefore unable to be scrutinised. Making science inaccessible to the public to ensure it is projected as not subjective, but the closest thing to objectivity we have. Personal pronouns are frowned on, emotionless language employed, and there is a focus on only reporting the data. This was in all likelihood an attempt to ensure scientists are seen as the ultimate holders of knowledge with ensuing respect that they are not to be questioned. The science profession thankfully is now moving into a more enlightened phase, where it is recognised and rightly the public are demanding to know where their taxpayer dollars are going. Humanisation of science is increasing and indeed with open access policies, opportunities are being given to the public to see firsthand what science outputs look like. Lifting science literacy so people can make more use in an informed way of these open access resources is another aspect altogether. The crux of the matter is that being detached at either a personal level or in the form of writing doesn’t actually lead to respect by the wider populace. And it’s certainly not engaging. At some point too chinks will always form in even the most impenetrable armour and we’re certainly in that era. That detachment allows pseudoscience and other less logically based entities to employ more personable approaches to get an audience on their side. And the outing of scientific fraud cases along with claims that the vast majority of medical studies are flawed further erode the armour that science has surrounded itself in so long. In other words, it’s an approach, that has predictably in the end backfired. Science is a system that is broken in so many ways. Why is science writing so unpalatable asks the Harbor seal? So it’s time science got more fully with the programme and delivered up journal articles that are digestible and not in a paleo kind of way. Such dry tasteless offerings could be too why not just lay-people but many scientists and science journalists admit they never go beyond the abstract, which is often better fodder, into the rest of the paper, because they don’t have the time or the inclination to inflict that much painful effort on themselves. In light of all the fraud scandals and with peer review under scrutiny too, journal articles being fully contemplated from start to finish by more people than just the peer reviewers and authors seems essential and not just because that’s a very expensive read per person in thinking about the total cost of doing the research that led to the publication. Some open access formats assist in terms of allowing ongoing peer review (e.g. PLOSOne) and some journal formats these days are shifting to more engaging writing, at least in some sections – like an Editor’s overview of the context (e.g. Science http://www.sciencemag.org/content/348/6239/1130.abstract?sid=6592833c-f720-40bd-b35e-2a3494113add) or a Summary section written in simple language. Amber Thomas (@ProQuesAsker), Aquatic Research Associate at New College of Florida, has created something quite extraordinary. 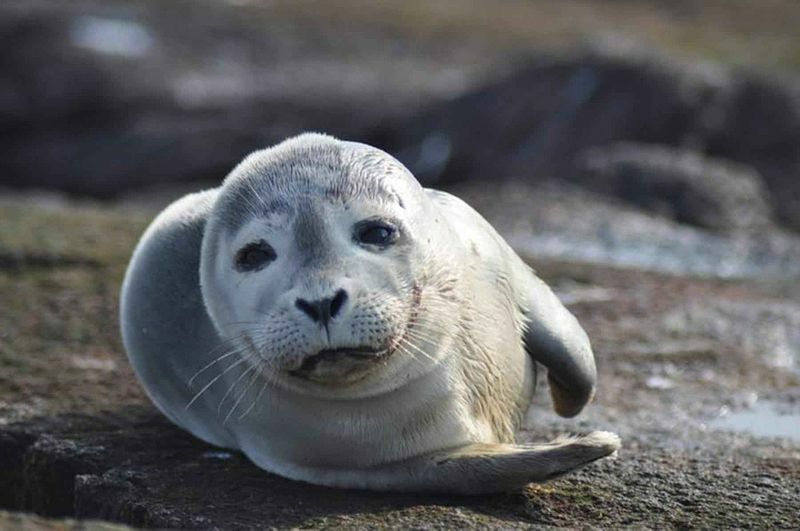 An abstract for her new PLOSOne paper on harbor seal pup rehabilitation and the effects of diving on their red blood cells in crazily good animated format. Simple, clear, effective and it gets the key messages of her research out in a language that is approachable to anyone. But that also shows enough of the science so that scientists can take it seriously. I would love to see these kinds of videos as a norm for many scientific publications – a means to engage anyone with research outputs that isn’t scary. It could well be a part of the role for scientist-communicators that fellow blogger Grant Jacobs recently wrote about in Code for Life. What do you think of the idea of animated abstracts? Should it become the norm for science articles? If so, scientists are going to need support in the form of allowing time to do it, or a role for a scientist-communicator and possibly funding, as well as recognition it’s an important part of the science process. And the best advocates for that? Scientists and the public. If you haven’t already, watch Amber’s short snappy video above. She’s also got an awesome website too.